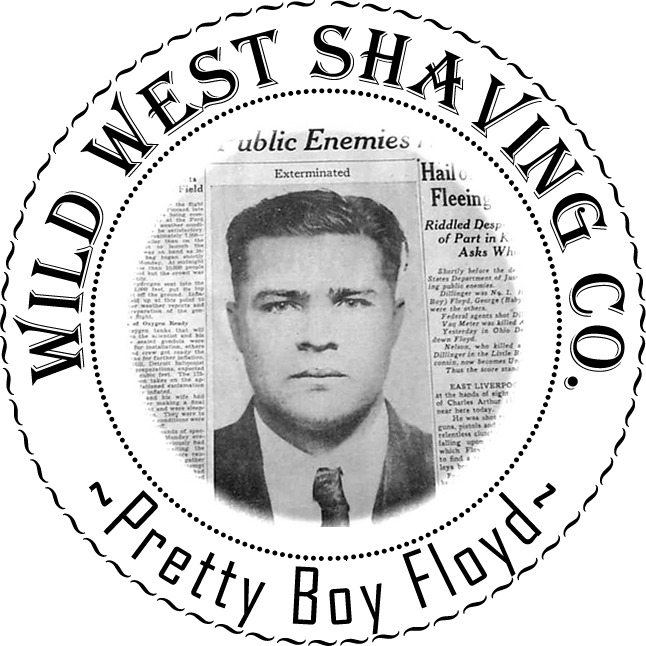 Pretty Boy Floyd Shaving Soap - Lavender, Smokey Fig. Ingredients:Tallow, Stearic Acid, Water, Glycerin, Coconut Oil, Castor Oil, Potassium Hydroxide, Sodium Hydroxide, Fragrance, Bentonite Clay, Sodium Borate. Charles Arthur "Pretty Boy" Floyd (February 3, 1904 – October 22, 1934) was an American bank robber. He operated in the Midwest and West South Central States, and his criminal exploits gained widespread press coverage in the 1930s. Like several other prominent outlaws of that era, he was pursued and killed by a group led by Melvin Purvis. Historians have speculated as to which officers were at the event, local or the FBI: known accounts document that local officers Robert "Pete" Pyle and George Curran were present at his fatal shooting and also at his embalming. Floyd has continued to be a familiar figure in American popular culture, sometimes seen as notorious, but also at other times viewed as a tragic figure, partly a victim of the hard times of the Great Depression in the United States. Floyd was first arrested at the age of 18 after he stole $3.50 in coins from a local post office. Three years later he was arrested for a payroll robbery on September 16, 1925 in St. Louis, Missouri and was sentenced to five years in prison. He served three and a half years before being granted parole. When paroled, Floyd vowed that he would never see the inside of another prison. Entering into partnerships with more established criminals in the Kansas City underworld, he committed a series of bank robberies over the next several years; it was during this period that he acquired the nickname "Pretty Boy." The nickname was given to him by Orville Drake, because when he worked in the oil fields he would wear a white button-up dress shirt and slacks to work. The men on the rig began calling him "Pretty Boy" which was later turned into "Pretty Boy Floyd." According to one account, when the payroll master targeted in a robbery described the three perpetrators to the police, he referred to Floyd as "a mere boy — a pretty boy with apple cheeks." Like his contemporary Baby Face Nelson, Floyd despised his nickname.